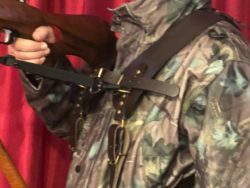 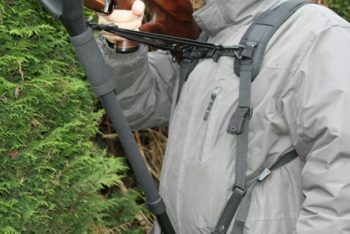 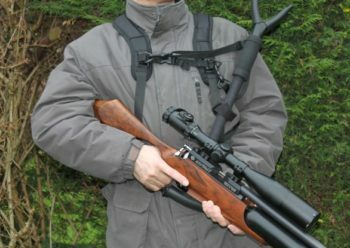 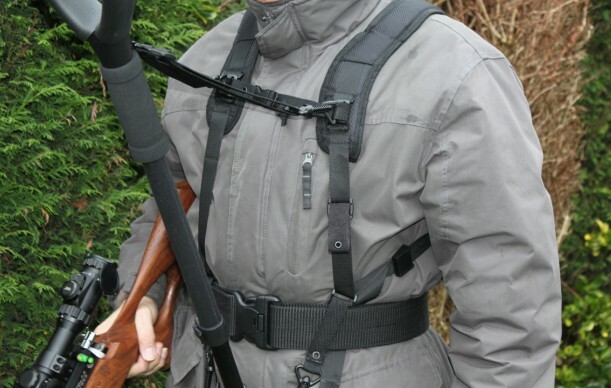 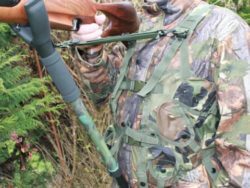 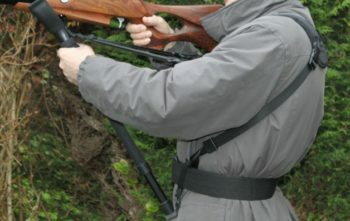 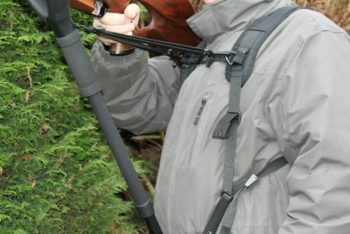 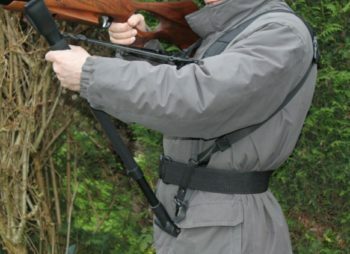 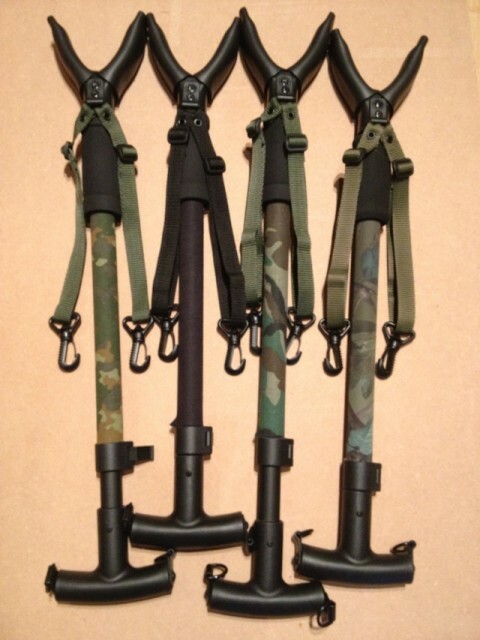 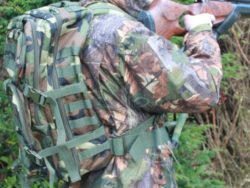 The EZ Mount Monopod model of Black Light Weight Shoulder Harness (SHB), is suitable for people who do not need to carry any equipment or accessories with them during their shooting day out. It is very light weight but very strong and it is the easiest way to improve accuracy and increase your range. 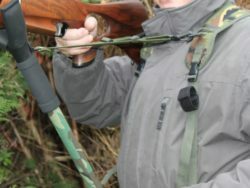 New feature now added to this model where the adjustable mono pod can be secured to left/right hand side when not in use. 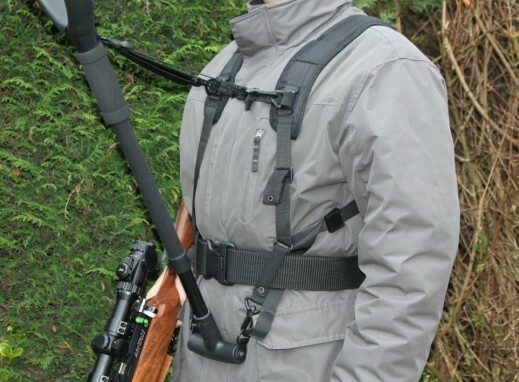 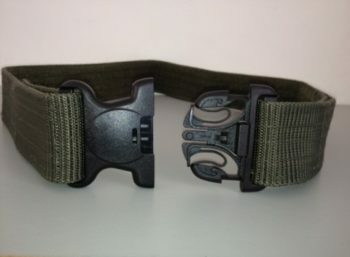 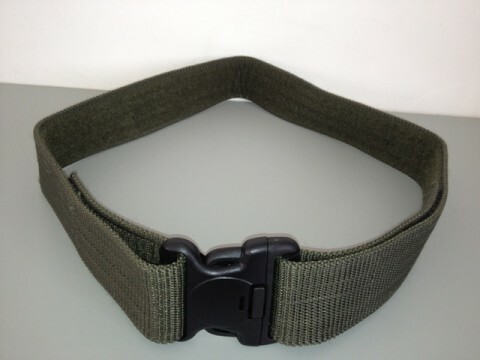 Tactical Vest and Ruck Sack models have also this feature. 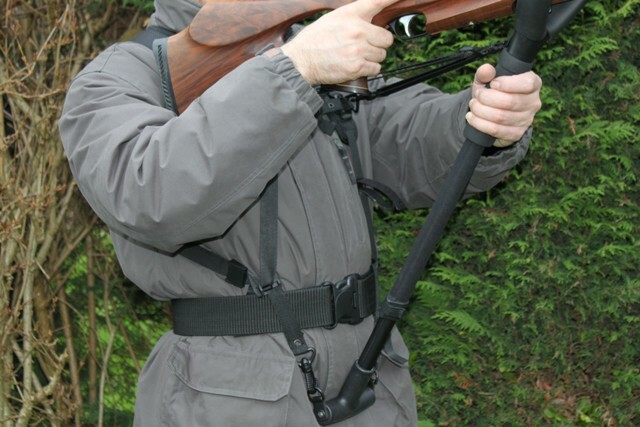 The EZ Mount Monopod model of Black Light Weight Shoulder Harness (SHB), is suitable for people who do not need to carry any equipment or accessories with them during their shooting day out. 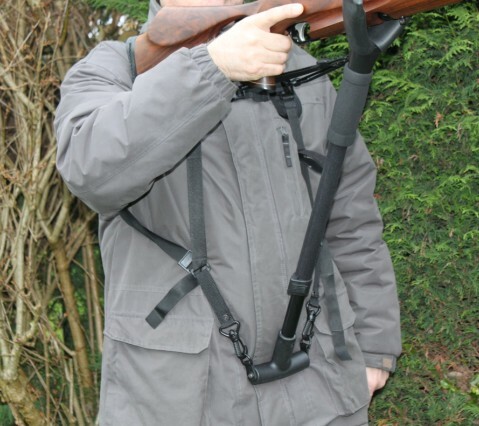 It is very light weight but very strong and it is the easiest way to improve accuracy and increase your range. 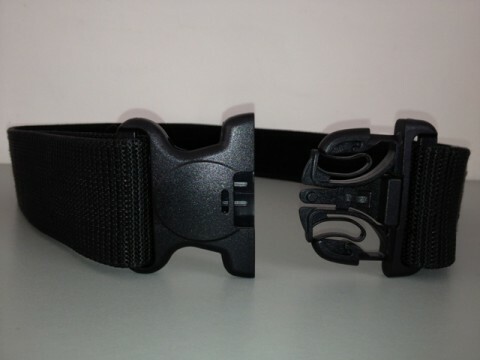 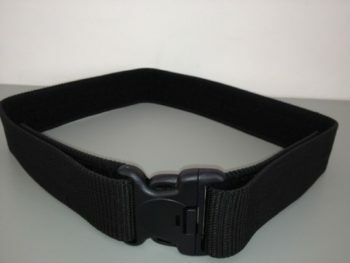 The adjustable mono pod can be secured to left/right hand side when not in use by using Monopod Retaining Strap. 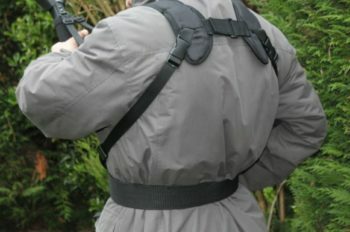 Tactical Vest and Ruck Sack models have also this feature.